100 people pre-signed up on groups.drupal.org/china. Up to 300 people attended one or more sessions on the day. Many People traveled from different cities to Shanghai, for example: Beijing, Guangzhou, Chengdu and New York City. Between 150 people and 200 people has sit in the Keynote speech, delivered by Forest Mars. 7 sessions were held; 2 sessions were conducted in English, 3 conducted in Chinese, 2 conducted with mixed English and Chinese. 150 DrupalChimaChina 2013 T-shirt were distributed for free. Since January, 2011, I moved to Shanghai, I teamed up with other local Drupalers to organize monthly Drupal meetups and Drupal Happy Hours. We usually have from 10 to 30 people to attend (I noticed a trend: expats in Shanghai they more likely attend Drupal Happy Hours while local Chinese Drupal developers more likely attend well-organized meetups). 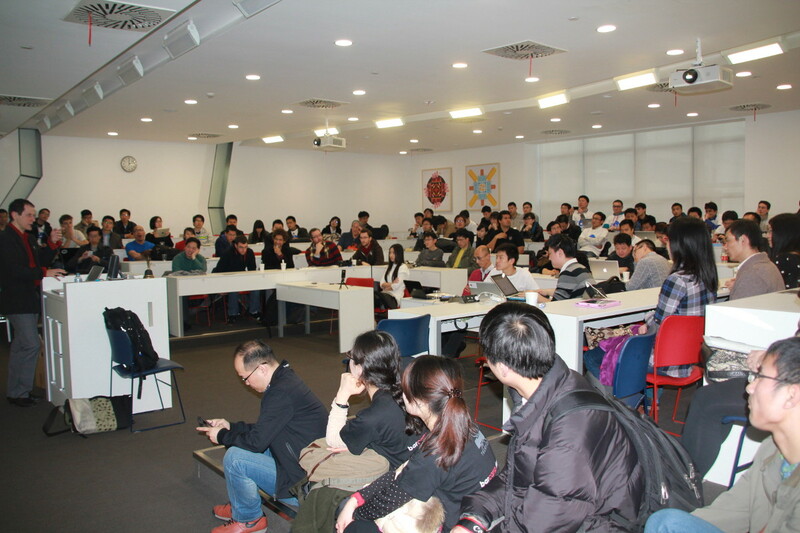 In the early of 2012, at one of our Drupal meetups we discussed that maybe it would be much more fun and meaningful to hold a Drupal Camp in Shanghai, and not long after the meeting, due to amazing responses we received, we upgraded that idea to hold a Drupal Camp for the whole potential audience in China! At that time, we were expecting from 50 to 100 people to show up; and that number was already beyond the resources we had at our disposal. Just the right organization came to mind to help our needs: Techyizu, which is a Shanghai-based volunteer-driven organization and staunch supporters of the China startup and tech community. They organize two Barcamps a year, and a few other events as well. Techyizu usually attracts around 400 people to their camps, and the team handles all the logistics such as venue, food, water, WIFI and beer. I have given presentations at previous Barcamps and realized the style of the camp is very similar to Drupal camp. So, if Drupal Camp acts as a content provider while Barcamp functions as a conference framework, that would mutually help, right? Indeed, the idea was accepted by Mark Englehart Evans at first, who is one of the organizers at Techyizu, then later on the idea was approved by the whole Techyizu team. In the end, we focused our energy on the presentations of Drupal, and left most of the logistics to Techyizu, and we were very grateful for that! 600 people pre-signed up for Barcamp including Drupal camp people and 800 people attended (a historical high for Techyzu as well). This became a unique opportunity for our Drupal community to show other people what is Drupal about! 20 organizers had participated in the organization of the event for the past 6 months. 336 bottles of beer and 200 cups of coffee were consumed. Our story: How Community Cultivation Grant Helped Us. As many people would agree with me that content is one of the most important things for a camp, therefore the first thing we discussed at the organization meetings were the presentations. It didn't take long before we reached a conclusion that we needed the Drupal Association's help, and specifically we needed an experienced Drupal speaker from oversea to come to our camp to give us a keynote speech, and tell us what's happening with the latest Drupal development, the events in the rest of the world or the experience of promoting Drupal in enterprise and government. I applied for the Community Cultivation Grant in October, 2012, at that time I told the Community Cultivation Grant Committee that I was expecting 100 people to show up for DrupalCampChina, and thankfully they accepted my application and issued 1500 USD towards DrupalCampChina 2013 in January, 2013. We started looking for our candidates, by firstly posting Open Invitation for a Keynote Speaker at DrupalCampChina 2013 / 征集2013年Drupal中国营主题演讲嘉宾. By the end of Feburary, 2013, we were excited that Forest Mars, a Hypermedia Architect from New York City, decided to fly to our camp and help with the keynote speech. When the time finally approaches, Forest successfully presented Drupal, Hypermedia and the Future of the Web . His overview of the web and Drupal, and his discussion on methodology are just what we needed to present the new, the abstract and the futuristic perspective to the Chinese audience. As many of us know, the most valuable thing in Drupal is the Drupal community. But this part of Drupal has not been fully understood by most people in China yet, as we are facing two big challenges: first, while almost every Chinese developers communicate using Chinese (The percentage of English Speakers in China is 0.83, by Wiki), the rest of the international Drupal community speaks English primarily. But thanks to our volunteers from Shanghai Drupal community, we made every post related to DrupalCampChina 2013 available in both Chinese and English including this article (Chinese version) and we encouraged presenters to mix with Chinese and English, and make translations in slides as much as possible. By having a camp like this, we created the opportunity for the new comers to introduce themselves in more multilingual friendly environment and the opportunity for many expats to communicate with Chinese developers face-to-face. However, the second challenge is even greater: most Chinese developers are not familiar with Barcamp style and we are not familiar with the DoMocracy in Drupal community yet. But, at the camp, we tried our best to learn established DrupalCon/DrupalCamp styles, we discussed about the role of IRC in Drupal community, we talked about groups.drupal.org, localize.drupal.org; we organized 150 people time to introduce ourselves; we talked more about meetups, Drupal Happy Hours, patches, modules, distributions, etc. 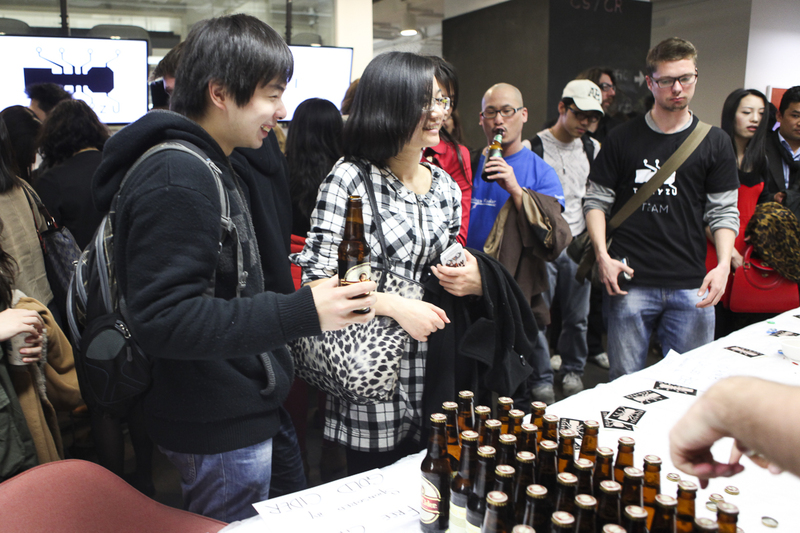 In the end, most people had positive response to participating in BarCamp style, although there are many benefits still left unknown for us to discover. Therefore, we want and need to do Drupal camps again and again! 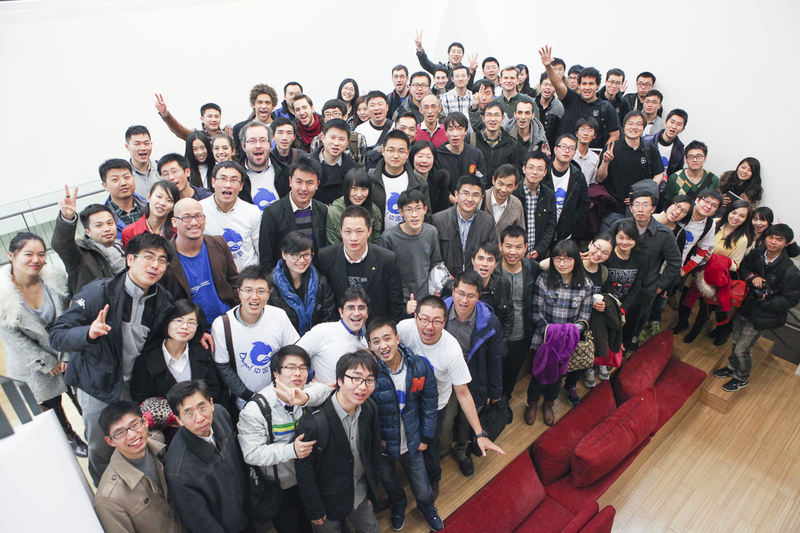 In summary, promoting Drupal Community or cultural is a long term task, and DrupalCampChina 2013 was just beginning. We are studying fast on Drupal as well as Drupal Community. As Dries Buytaert once used a quote in his keynote: "if you want to go quickly go alone if you want to go far go together", the Chinese Drupal community has a late start, but the community is eager to catch up and go far together with the international Drupal community. For additional photos, please go to Sina Weibo or Google+.